There’s nothing worse than coming in second place, especially when you’ve fought the entire season for the coveted Stanley Cup. This year, the three teams that fell short in the last three seasons have a large chance at victory this time around. The Nashville Predators — the most recent team to come in second place — have been on quite the revenge tour this season. The Predators finished the regular season at the top of the Western Conference standings and took home the Presidents’ Trophy, which is awarded to the team in the entire league with the most points at the end of the regular season. However, a first round series against the Colorado Avalanche didn’t necessarily go as planned. If a team was supposed to sweep in the first round, money probably would’ve been on Nashville to sweep Colorado. While the Predators ended up winning the series 4-2, those are some extra shifts that their players probably could’ve better used resting for the next series ahead. While Nashville may have looked a little less than fabulous in a few moments of its opening series, the fire to win is still there. The team is pretty much intact from last season’s loss, give or take a few guys, so they’re all still seething from that loss last year. Maybe they’re not the first team you think of when you think of California NHL teams. Maybe they’re not even the second. But they should definitely be on your radar, because in the next five years, the San Jose Sharks are going to be Stanley Cup champions. Going up against the Anaheim Ducks in the first round, San Jose wasn’t predicted to win by many. But they came out and swept their fellow Californian team. Right when the series began, it was clear that the Sharks had the upper hand. 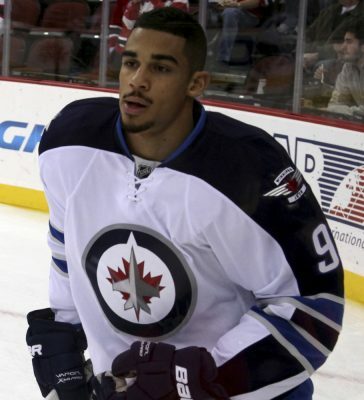 Forward Evander Kane may have been the best thing for their roster this season. He brought a young energy that the team needed to make it through grueling postseasons, especially on a team with a pretty high average age of players. They’ll face the Vegas Golden Knights in the second round, which will definitely be a challenge. Vegas has been the epitome of stellar hockey team this season, and its not stopping in the playoffs. The Golden Knights also swept their first round opponent, so this second round series could present one or both teams with their first loss in the playoffs. It’s been a bumpy ride for the Tampa Bay Lightning to even try to get back to winning a cup. It’s been 14 years since the Lightning took home their franchise’s only win, but now they’re back on track. Had it been any other opponent, the Tampa Bay Lightning really could’ve won the Stanley Cup in 2015, but no team would’ve been able to match the fire of the Chicago Blackhawks. Three seasons later, Tampa Bay almost resembles the old Blackhawks team. It’s strong, fast and never fazed by any competition that comes its way. The Lightning are young, but they don’t play like NHL amateurs. At this point, Steven Stamkos and Victor Hedman are household names in the league, and they’re both under 30 years old. An exciting first round for Tampa Bay came with a 4-1 series win against the New Jersey Devils. It wasn’t a huge shocker, but it allowed for the Lightning to remember the glory of 2015 and how they dominated the Eastern Conference. Tampa Bay, San Jose and Nashville all have a pretty good shot at going back to the Stanley Cup Finals, if not winning it. If it’s not this year, these three teams have what it takes to bring the Cup home in the next few years. They were runners-up recently, but second place isn’t where they plan to end up. Nice article. With the Sharks, one has to wonder how good they might have been with a healthy Joe T and Marleau still on the roster, fitting in with the newer, faster and higher engery guys they’ve added this hear.